Establishing good spending habits has taken some effort on my part, but I’m happy to report that things are going really well for me. I’ve been participating in the Interac 21 Day Credit-Free Challenge for the past couple weeks and am actually enjoying the process. The daily tips have been really helpful and allowed me to better examine my finances. There may have been a couple small bumps, but, overall, the process has been smooth sailing! In the Interac 21 Day Credit-Free Challenge, I set aside my credit card and am using only my own money for my everyday purchases. My credit card has been chilling (literally) and I’m unable to use it even if I wanted to! Well, I guess I could always take it out of my freezer and thaw it out, but I have no desire to do that. It’s fine where it is and I don’t even really miss it. In fact, I forgot it was there! I can tell you one thing for sure. I will never miss credit card debt. At one point in my life, I had multiple credit cards racked up to their limits. I was completely dumbfounded when I discovered it would take me 30 years to pay them off if I only paid the minimum payments. I’ll admit that was a terrifying time in my life. It really hit home and showed me exactly what having credit card debt was like. It wasn’t pretty. The past couple weeks, I’ve reflected on that time in my life and vowed that I would never go back to how I used to live. I’m doing a lot better now, thankfully, but there’s always room for improvement. The Interac 21 Day Credit-Free Challenge is helping to keep me on the right financial path and reminding me about making good decisions about money. Credit card debt can quickly spiral out of control. I’m living proof of that fact. One of the highlights of the challenge was Day 7, where I was able to reward myself for my progress to that point. 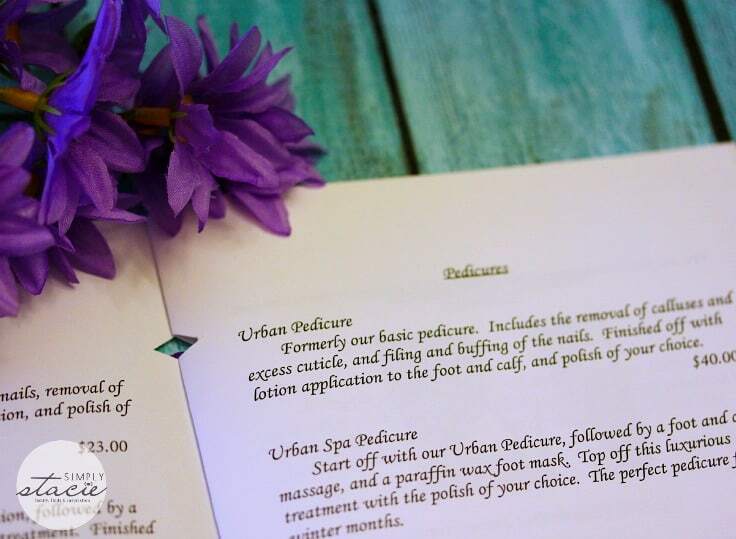 I haven’t treated myself to some pampering in a while so I decided that I’d book an appointment at our local day spa for a much-needed pedicure. With sandal season coming up, my feet needed some TLC. I also wanted to relax and unwind a little bit too. I paid for my appointment with my own money. Don’t worry, that credit card never left my freezer! I mentioned at the beginning of the challenge that I was concerned about impulse spending. The “have to have it NOW” feelings are still here, but I don’t act on them. Instead of grabbing the item and putting it in my cart, I stop myself and ask (internally, of course), “Do I really need this?”. I’ve been sticking to my shopping list and have been coming in under budget the past couple trips. Yay! If you haven’t joined the Interac 21-Day Credit Free Challenge, there is still time! Head on over to 21DaysCreditFree.ca and check out all the tips so far. 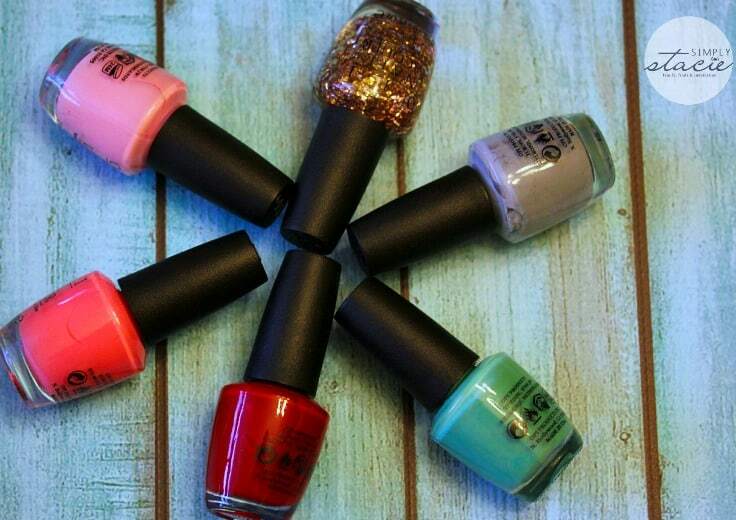 Sign up for free with your email address and get them delivered right to your inbox. I feel much more empowered and enlightened about my money now and the direction I’m headed financially. I’m in a good place right now. The Interac® 21 Day Credit-Free Challenge was created to help Canadians live within their means by using their own money. It’s easy to get started. All you have to do is sign up with your email address at 21DaysCreditFree.ca to receive daily financial guidance. Disclosure: This post was brought to you by the Interac Association/Acxsys Corporation via Mode Media Canada. The opinions expressed herein are those of the author and are not indicative of the opinions or positions of Interac Association/Acxsys Corporation. 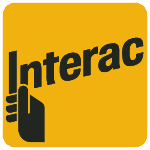 Interac is a registered trade-mark of Interac Inc. Used under license. This is such a wise choice to make – everyone should really try it! Definitely a challenge that is good for everyone to try. Good for you! I’ve been living without credit cards for years now. I just buy what I can afford. Credit cards are good for emergency use. but that’s about it. Even that can be a slippery slope if you are not very disciplined. Good for you, after we got started a few years ago I found after a while we bought what we needed not what we wanted, of course we still treat ourselves but pay cash for everything. I spent $600 on credit this month at the vets……. What a great idea. I could do without a few things I buy for sure each shopping trip. Thanks for sharing. I think I may give this a try. A very good idea to get off the credit cards. Hard for the first month but then should be easier, you are right! Good for you! You have really grown. You’ve learned and now pay attention to your spending and costs. I’m amazed at how some people go with the have to have it now constantly. Put it on the card and worry about it later. It’s scary how easily credit card debt creeps up on you. I like how this book has steps and gives you rewards. Congratulations Stacie on doing so well, it’s not easy here to do without a credit card. You need one for so many things. The important thing if you do have and use a cc is to pay it off fully at the end of each month, those interest rates are horrific if you don’t. I still use credit cards but have always paid the complete bill when it comes in. It’s the interest on these cards that is outrageous. I know this isn’t always easy for people.